So you're coming to Rome… but you don't know much (or maybe at all!) about its history or art or sites, and the idea of digging into that thick old Rough Guide you've got is less appealing than gelato in a snowstorm. What do you do? Crack the books — the fun ones, that is. Really. There are fun books about Rome that you can actually (gasp!) learn from. And even if you don't remember the ins and outs of what you read by the time you get here, hopefully all that educational entertainment will have done something every bit as important: made you excited to see the forum, the Vatican, or whatever it is that you only originally put on your list because, well, it sounded important. A caveat: I'm only recommending books here that I've read. And I know I'm missing lots of great ones. 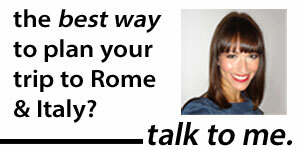 So, have you read an excellent book or novel about Rome? Put it in the comments! Michelangelo and th e Pope's Ceiling , Ross King. I still haven't read The Agony and the Ecstasy (I know, I know)… but I have to say that, for me, it'll be hard to beat King's version of the Michelangelo-versus-the-pope knockdown. 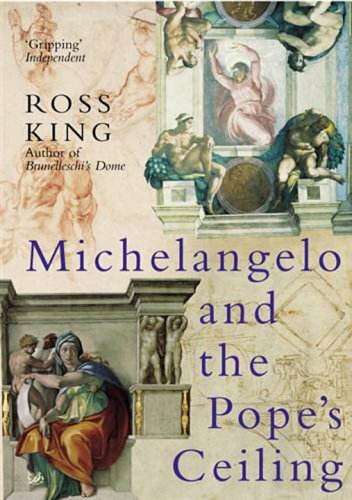 King is the guy who wrote Brunelleschi's Dome — also a recommendation, if you're heading to Florence. And he has a knack for narrative that will have you hanging on every twist and turn in the Sistine Chapel saga. Cleopatra: A Life , Stacy Schiff. This brand-new take on the woman history loves to hate wasn't quite as groundbreaking as it promised to be. After all, it's hard to completely reset someone's reputation when the only surviving sources about them come from their enemies. Even so, Schiff gets pretty close, trying to shine a light through the sources' (fortunately predictable) biases to illuminate who the real woman would have been. 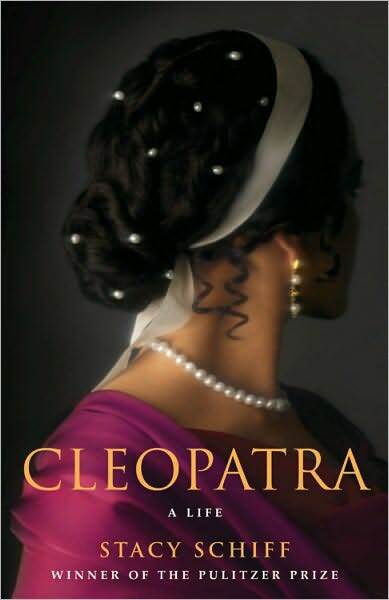 But all that aside, Cleopatra is, on its own, an addictive biography. You know how it all ends, but you can't help turning the page for more, more, more of this confident, extraordinary, anything-but-promiscuous woman Schiff paints for us. Plus, while most of the book deals with Alexandria, its section on what Rome would have looked like to Cleopatra on her visit (in brief: a backwater) is pretty entertaining. Basilica: The Splendor and the Scandal: Building St. Peter's , R. A. Scott. She's been slammed for some historical inaccuracies, but there's no denying that Scott's a storyteller. And deserves major kudos for telling the sweeping 200-year history of St. Peter's Basilica with both page-turning speed and colorful details (Michelangelo didn't just "make his escape"; he made it "wrapped in a lavendar cloak the color of dusk, riding headlong against a sharp north wind"). The enormity of the basilica, and its history, here comes compact (less than 300 quick-read pages). That's a downside if you plan to be the next big St. Peter's Basilica expert… but a positive if you don't want your head to hurt. Caesar: Life of a Colossus , Adrian Goldsworthy. He's the most famous Roman to have lived, and Goldsworthy does him justice. In this fat (632-page) but readable biography, he delves into the man behind the myth, from the stand-up to Sulla that got the 18-year-old banished from Rome right up to the world-rocking murder… with all of the juicy betrayals, affairs and shenanigans in between. Better yet is Goldsworthy's deftness in contextualizing Caesar and exposing the Republic's "rot". Be warned, there's a lot of detail here, and it might be little much for anyone who's not already drawn to the Roman Republic or Caesar himself. But for geeks like me those who want a real grasp on the guy who changed it all, it's just right. Rome: The Biography of a City , Christopher Hibbert. For those who want the whole history, told in a relatively comprehensive and non-textbook kind of way, this is the big daddy. Hibbert's book takes you right through from 753 B.C. to the 20th century. It's hefty, but readable — although this is one I wouldn't go for until you're already pretty interested in the city. It also comes with a handy section on the history of individual sites in Rome, even the more minor. The Smiles of Rome: A Literary Companion for Readers and Travelers , Susan Cahill. If you want something that you can pick up, put down, pick up, put down, look no further. This anthology of works by writers who lived in, or visited, Rome — from Ovid to Fellini, Henry James to John Updike — is full of by turns poignant, cutting, and witty impressions of the city. At the end of each piece, there are suggestions for a walk you can take that incorporates the sites written about.